Los Angeles—Jordan Spieth launches what he hopes will be a bounce-back 2019 campaign Thursday when he tees it up in the US PGA Tour’s Sony Open in Hawaii. The former world number one endured his worst professional season in 2018, finishing 31st in the US tour’s FedExCup points race and failing to qualify for the Tour Championship for the first time in his six-year career. 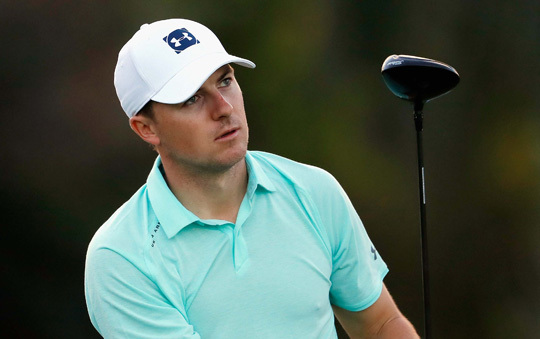 Spieth, who married fiancee Annie Verret in November, said this week’s tournament at Waialae Country Club would be a chance to assess just where his game is given he didn’t earn a berth in last week’s Tournament of Champions open only to last season’s winners. Spieth said he decided he “really could come down and try out the very little work I was able to put in, but at least knock some rust off and gather some information about where I am at and hopefully make some adjustments going forward into the season”. Spieth, whose five top-10 finishes in 23 starts last season were the fewest of his career, admitted it was a frustrating campaign. “I was certainly frustrated with last season results-wise compared to previous seasons,” he said. “It was also something I kind of embraced as an inevitable at some point in the career,” added Spieth, whose 11 titles before the age of 25 included three major championships. Although limited practice time as he enjoyed his wedding and honeymoon mean he isn’t sure just what to expect this week, he said he thought the break did him good.